The Government of Her Majesty (Her Majesty’s Government) or the British parliament (British Parliament) is often called «the mother of all parliaments» because of its pattern established legislatures in many countries, including member countries of the British Commonwealth (British Commonwealth), for which the monarch It is still the Queen Elizabeth II (Her Majesty Queen Elizabeth II) . Saint Helena, Ascension and Tristan da Cunha Our faith is our strength. The faith is our strength. Turks and Caicos Islands Beautiful by nature, clean by choice. Beauty given to us by nature, purity — elected us. Falkland Islands Desire the right. Cayman Islands He hath founded it upon the seas. By Lord of the seas. British Virgin Islands Vigilate (Latin: Be watchful). British Indian Ocean Territory In tutela nostra Limuria (Latin: Limuria is in our charge). British Antarctic Territory Research and discovery. South Georgia and the South Sandwich Islands Leo terram propriam protegat (Latin: Let the lion protect his own land). Let the lion defends his land. Gibraltar Nulli expugnabilis hosti (Latin: No enemy shall expel us). None of us do not drive out the enemy. Bermuda Quo fata ferunt (Latin: Whither the Fates carry us). Portcullis (gliding door) — going down grill (in the gates), belongs to the family heraldry Tudor, it is a symbol of the British Parliament. 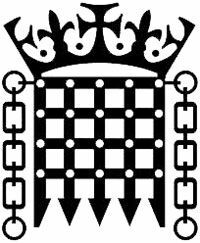 Now a closer look at the device state management system of Great Britain, or, as it is called, Westminster Parliament — the chief legislative body (legislative body). His two-chambered device suggests separation of the House of Lords (House of Lords) and the House of Commons (House of Commons) — the latest in fact run the country. House of Commons is elected for a term of 5 years by democratic vote (democratic vote), and all the ministers, including the Prime Minister, are members of this Chamber. Lords — it is the elite of English society. They are divided into two categories: Spiritual Lords (Lords Spiritual) and secular Lords (Lords Temporal). In today’s Parliament at Lords have a lifelong right to participate in meetings, they are called «lifelong peers» (life peers — from the English. Peer — a major feudal lord). Previously, you could become a Lord inheriting a peerage (hereditary peers). Such members of Parliament in modern English title holder 92. This count (earl, count), Marquis (marquis), Duke (duke), Viscount (viscount) or baron (baron). Private group — independent or non-party peers (crossbenchers), who are elected by the Commission on Appointments to the House of Lords (Lords Appointments Commission), created for this purpose in 2000. Among the independent members of the House have both lifetime and hereditary peers. Unfortunately, you will not find the so-called Lords of lawyers (Law Lords), which serves as the final court of appeal (Lords of Appeal in Ordinary) before the Supreme Court (Supreme Court) in 2009. During the XIX century reform the political system has found a balance between the chambers. Being independent of Lords, House of Commons began to gain popularity, reaching equality (equity). Lords may still impose a ban (non-content) on the bill. But it can not be postponed for more than two readings. Voting on matters may take orally, whereas members of Parliament (MP’s) cry Aye (for) or No (against) in the House of Commons and the Content (for) or Discontent (against) the House of Lords. The meetings (sessions) of both chambers are separate. Do not forget the third component, which forms the legal sense, is what is called the British Parliament — the «Queen in Parliament» (Crown-in-Parliament) is an integral part of each of the branches (branch of government). Today the value of the queen rather formal, and she listens to the prime minister (prime minister). The Prime Minister — the man who fiercely defends the interests of the country at both the local level and abroad. I propose to look at the fiery speech (fiery speech) of the current Prime Minister David Cameron. To amuse — to entertain. To take off — Bld. deliver. High seas — Open Sea. Blessed plot — a fertile ground for discussion. Scepter’d isle — England (Shakespeare «The Tragedy of King Richard the Second»). Fasting, which is still not fixed by any constitutional law or convention, appointed by the Queen (appointed by the Queen). The Prime Minister heads the political majority in Parliament. In 1830 the post became known as primus inter pares, or the chief among equals, that is, the prime minister (head of government). In view of the powers of Prime is also the head of the Treasury (First Lord of the Treasury), the Minister of Civil Service (Minister for the Civil Service). Among the privileges of office — residence in Downing Street, d. 10. The first decision of the Parliament, containing a reference to the Prime Minister, was the position of the Chequers estate (Chequers), which was approved by King George in 1917. Georg identified Chequers estate, donated to the state by Sir Arthur and Lady Lee, as a country residence for the future prime minister. If a vacancy occurs in the office of the Prime Minister, shall appoint a new monarch. Appointment of another is known as the ceremony called «kissing of hands.» In accordance with the written constitutional custom, the monarch is obliged to appoint a person who enjoys the support of the House of Commons, the leader of the party which won a majority in the House. How long will the British flag would have to stay the way we are accustomed to it? Traditional picture could change if Scotland would vote in a referendum (referendum / vote on a ballot question) for their independence (independence). How often do we hear about the regions and nations that seek to separate (break away) from public entities that manage them. In the United Kingdom the inhabitants of Scotland were going to vote for (to vote for) their autonomy, but have not decided on it. The system of government of Great Britain is very diverse and represents a particular layer of the cultural heritage of the country, which is very interesting to study.